She says she’s a complete sap for novelty prints and dresses with Peter Pan collars. If you love that playful, colorful, sweet style then you’re in luck! Oh, you like instant gratification, too? Luxie Vintage knows you want to “Buy It Now” so you can buy your favorite clothes immediately instead of waiting for an auction to end. No more worrying if you’ll be outbid. Just two clicks to buy it, and then daydream about styling new outfits while it’s being delivered. 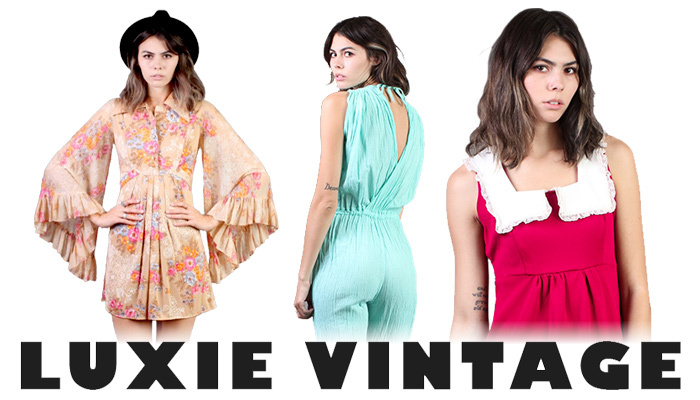 Whether you’re new to vintage or have a closet full of classic couture, luxie vintage will hook you up. Visit their online shop and scoop up some of the raddest vintage clothes coming out of Scottsdale.